You can review a General Ledger report of the Undeposited Funds account balance that will agree with the ending balance on your Balance Sheet report, but without quite a bit of manual work, you cannot identify each individual transaction that makes up the Undeposited Funds account for a specific prior period. Why? Because each time you deposit a receive payment, QuickBooks® marks the original dated line item as cleared. This is why we first create a custom report to see if the current (today’s date) detail is correct. If you review your balances monthly, you need to print out the Undeposited Funds Detail report, on the last day of your accounting month. Save this report in your paper file for future reference because you cannot go back to a historical date and get the same information. If you take credit cards as payments from your customers, I recommend that you do not complete the “Make Deposits” task until you view a bank statement showing the funds deposited into your bank account. This does not mean waiting a month for the statement to arrive, because most financial institutions now offer online account access to your account statements. For those clients, particularly retail businesses, where there is often a large volume of customer receipts in any day, I recommend reviewing the modified report as part of the month, quarter, or year-end process. Notice whether any old dated transactions are on the list. If you find none, you can assume the Balance Sheet balance in Undeposited Funds as of the prior period date is probably correct. 1. From the menu bar select Reports, Accountant & Taxes, General Ledger. 2. Select Customize Report from the report screen. 3. In the Modify dialog box that opens, enter an appropriate Report Date Range. 5. Click the Advanced button and from the Include box select In Use. This will streamline the data that results on the report. 6. Click the Filters tab, choose to filter for Account, and select the Undeposited Funds account from the drop-down list. You can use this General Ledger report to see details for the Undeposited Funds account and to verify if the running balance in this report agrees with your Balance Sheet report. However, you still cannot use this report to identify which Receive Payments transaction was not deposited as of the report date, because QuickBooks does not capture the information with an “as of” date. 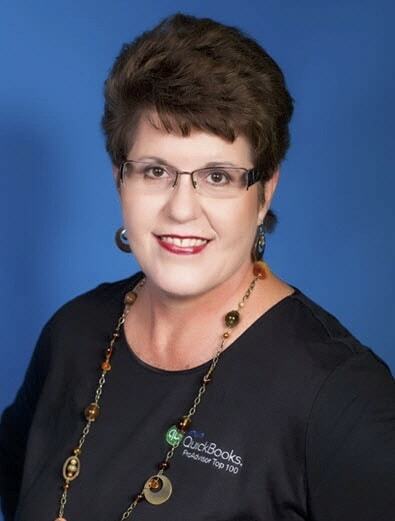 Editor’s Note: This blog is an excerpt from Laura Madeira’s book, QuickBooks 2013 In Depth.